I have been wanting to read this book for the past 2 years, I couldn’t find English copy here in amman or online, but found it in Dubai. It’s the first paper book I read since 2010 when I first got my iPad. With the long periods of time you spend on the roads and the distance, I couldn’t manage to find it in a bookstore near me, so one weekend when it was not that hot, I called a few bookstore and finally found it at Magrudy’s Jumeira branch, which was around an hour and half drive because of the traffic jam, i told them to reserve it for me, and I will be there in a couple of hours. It was a long drive and was worth the effort, I remember an african guy who works there told me that this book was a really good one. The book was an excellent read, the story based in Egypt, talks about the monk Hypa, who travels through Egypt and falls in love, tastes the scent of a woman, the internal battle within him, also it talks about the politics and religion in that era. As interesting as the book was, I had enjoyed the parts abut Hypa most, as for the other parts that evolve around religion and politics, I didn’t enjoy it much as I have read many books that talks about it and nothing new there. Throughout the book, I kept thinking how hard it is to choose solitude, reclusion and devotion to God as a monk, whereas you can get married and live life like any normal human being. This book is a must read. A friend of mine says: “#1 is 100 years of solitude, #2 is Azazeel in my all time favorite books.” And I have to agree. Unfortunately, I don’t have any quotes from the book, it was a hard copy. Interestingly enough this book stirred some disparity among readers. I believe it is one of the works that u either like immensely or loath for ever! * Have u read anything else for Yousef Zeidan? I’m waiting to read a couple of his other books, The Shadow of the Serpent and The Nabatean, I am not sure if I can buy an English version or find it on the net, I didn’t search honestly. As for the arabic version, all my friends who read azazeel share your opinion, they said its way better in arabic. I made a quick search and couldn’t find much of his work in English! Which is weird + sad. The Nabatean is a great read too. 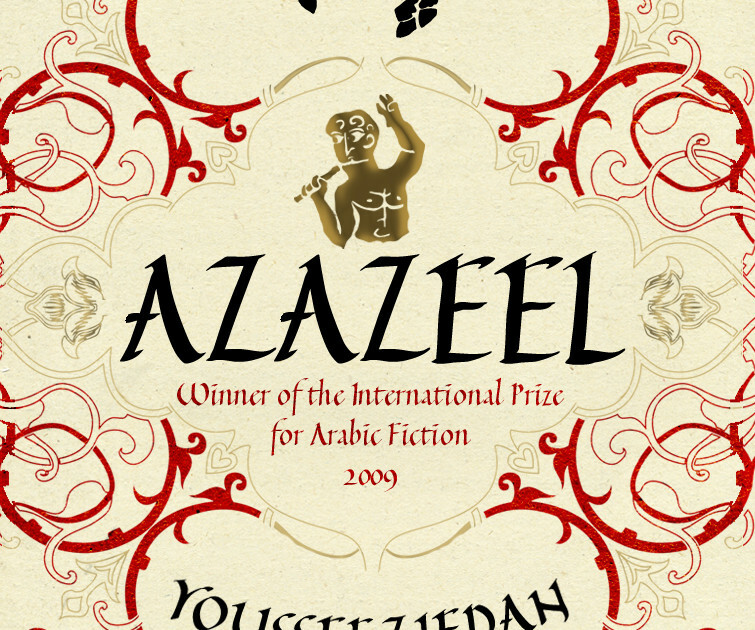 In one of the interview Dr Yousef said it is some sort of a 2nd part to Azazeel. If I find them, I will tell you.